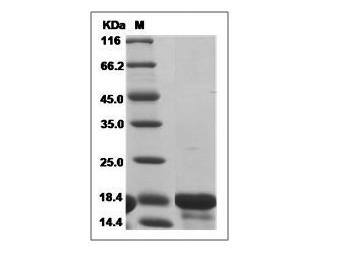 EliKine™ Human IL-18 ELISA Kit employs a two-site sandwich ELISA to quantitate IL-18 in samples. An antibody specific for IL-18 has been pre-coated onto a microplate. Standards and samples are pipetted into the wells and any IL-18 present is bound by the immobilized antibody. 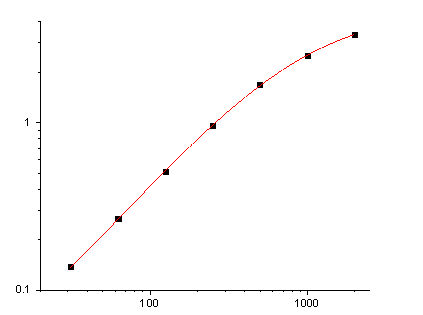 After removing any unbound substances, a biotin-conjugated antibody specific for IL-18 is added to the wells. After washing, proprietary EliKine™ Streptavidin-HRP conjugates is added to the wells. 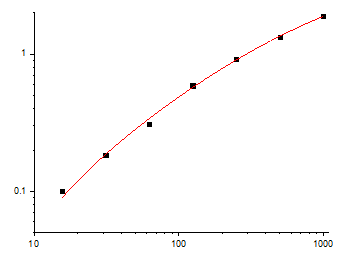 Following a wash to remove any unbound streptavidin-enzyme reagent, a substrate solution is added to the wells and color develops in proportion to the amount of IL-18 bound in the initial step. 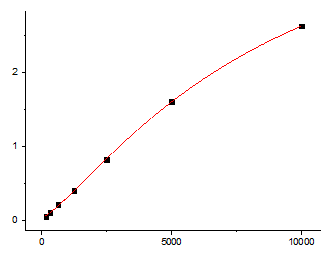 The color development is stopped and the intensity of the color is measured. Fig.1. 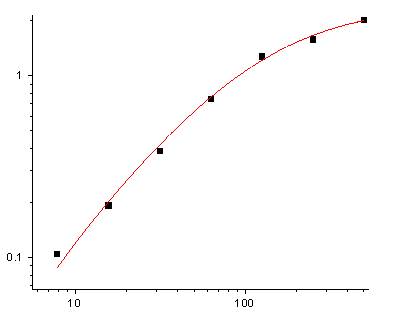 Human IL-18 Standard Curve. Fig.2. 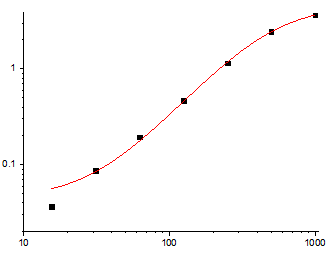 EliKine™ Human IL-18 ELISA Kit is a sandwich ELISA to quantitate IL18 in samples. 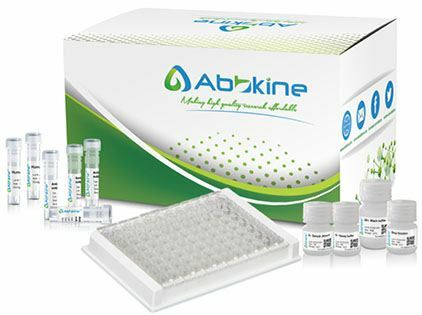 EliKine™ Human IL-18 ELISA Kit has high sensitivity and excellent specificity for detection of Human IL-18. No significant cross-reactivity or interference between Human IL-18 and analogues was observed. Interleukin-18 (IL-18 or Interferon gamma-inducing factor) is a proinflammatory cytokine in the IL-1 superfamily. IL-18 has overlapping and synergistic biological function with IL-12. IL-18 is found in both intracellular and extracellular compartments. The antibodies in this kit were raised to the mature full-length sequence of human IL-18. Human IL-18 has 66% protein sequence identity to mouse Lipocalin-2.